Side chair by Duncan Phyfe and Sons (1837-1840). Metropolitan Museum of Art. 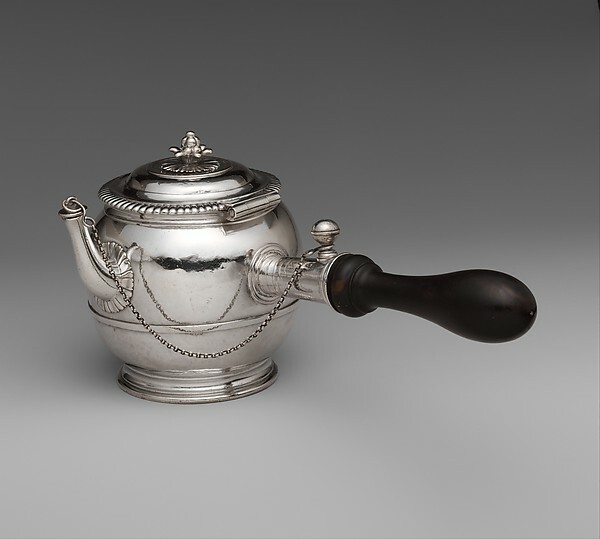 Teapot, 1699-1700. Metropolitan Museum of Art. Charges are based on an hourly rate and not on the value of the appraised items. The fee is $140 an hour plus expenses. There is a two hour minimum. A deposit of the $280 minimum is due upon the initial visit. Expenses may include travel over 15 minutes to and from the assignment from the office of Ms. Adams, printed and bound report copies, database searches, fees charged by experts and galleries for specialized information, and faxing. For assignments involving air travel, please contact Ms. Adams for details. Ms. Adams can provide a estimate of the amount of time that she believes it will take to examine, evaluate, document, and research the property and prepare the appraisal report, as well as related expenses. All appraisals require a 50% deposit once the estimate is approved. The remainder of the balance is due upon the client’s receipt of the appraisal report. Non-cash charitable donation appraisals for IRS purposes of items over $5000 that require a written appraisal and the completion of IRS Form 8283 have a minimum charge for seven hours, or $980. For items under $5000 that require the completion of IRS Form 8283 only, the minimum charge is for two hours, or $280. Fees for non-appraisal services are $100/hour. 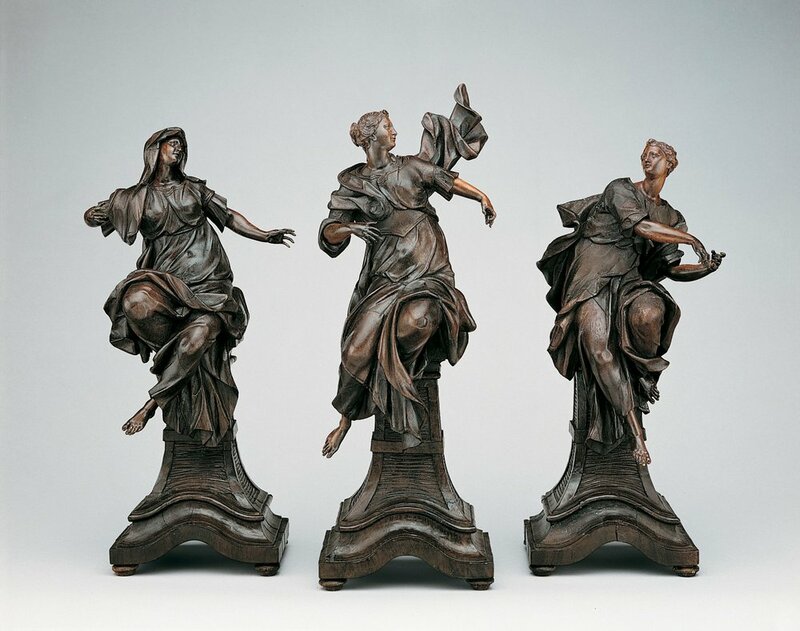 Faith, Hope, and Charity by Balthasar Ferdinand Moll, ca. 1739-1740. Metropolitan Museum of Art. The valuation of an item requires determining the most appropriate marketplace in which the item is traded, then assessing the condition, quality, rarity, desirability, etc. of the item within that marketplace. The most common types of values are Retail Replacement Value (for insurance appraisals), Fair Market Value, (the “auction value” generally used by the IRS and also known as the resale value), and Marketable Cash Value (frequently used in dividing up assets in the case of divorce). The appraisal report will include property descriptions, photographs, and values in a bound document. The level of detail in the descriptions and number of photographs included can be customized to suit the client’s needs and the purpose of the report. The appraisal report will contain one type of value as determined by the purpose of the report. If two types of value are required, two appraisal reports will be prepared and charged accordingly.